Our range of products include accutron checks, tank weighing system and automatic tank weigh system. Supported by diligent professionals and sound infrastructural facilities, our firm is involved in manufacturing, supplying and exporting Accutron Checks. These are manufactured with qualitative raw materials and integrated with sophisticated testing mechanism that helps to accurately check the weigh bridges. We check the offered product on various quality parameters to ensure its flawlessness. Offered Accutron Checks are timely delivered by our logistic personnel at the premises of our customers to ensure their optimum satisfaction. Trucks with axle load higher than legal limits cause a disproportionately higher percentage of damage to the infrastructure and adverse impact on traffic safety. 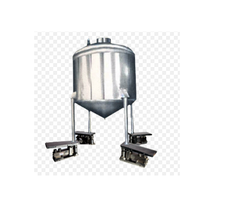 Our Company Tank Weighing System. 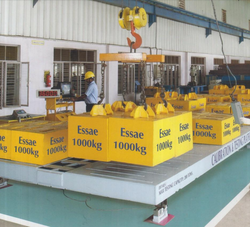 System is a robust, reliable, maintenance-free weighing mechanism designed for use on highway & Mines. Trucks with axle load higher than legal limits cause a disproportionately higher percentage of damage to the infrastructure and adverse impact on traffic safety. Our Company Automatic Tank Weigh System System is a robust, reliable, maintenance-free weighing mechanism designed for use on highway & Mines. Looking for Portable Weighing System ?